Do Epilators Cause Ingrown Hairs? Short answer: No. If you are using a good quality epilator the right way, epilators should NOT cause ingrown hairs. However, you ended up here because you are using an epilator that is causing more ingrown hairs than you expect. So why is this happening? Let’s go over two explanations and how to avoid them for the future. Sometimes hair breaks at the surface of the skin instead of being pulled out. You may think that the epilator is removing hair and not the notice the difference. But it will grow out quickly like as if you had shaved instead of waxed. These hairs were pulled at by your epilator but broke before they could be yanked out. Because they were pulled and then broken, they are more likely to curl inward and cause an ingrown hair. So why does this happen? First, you may not be pulling your skin taut before passing over it with your epilator. The epilator is not able to grab the hair near its root to pull it out completely and instead grabs the hair shaft midway and ends up breaking it. So what can do you do to prevent this? Make sure your epilator head is as flat as possible on your skin so that it can grab the hair close to the root and remove it. In areas such as your arm pit or your upper thighs, use one hand to pull the skin tight and then epilate. If these areas are especially sensitive, check out our tips for less painful epilation. This brings us to our second reason. Sometimes, when we first start epilation, the pain is intimidating. If you’re starting out and it hurts, you may be afraid to press the epilator head flat on your skin. The epilator will feel less painful when it is only breaking hairs halfway and more painful when you’re pulling the hairs out by your roots. So you may only be skimming the skin surface, only breaking hairs… and ending up with a lot ingrown hairs. Ingrown hairs are even more painful than epilating, and can be prevented! So if epilating is too painful for you to do right, consider another less painful hair removal method. Shaving alongside a home laser hair removal might be a good option for you. Here are our recommendations for the best home laser systems. Finally, the last potential reason could be a cheap epilator or one that has a low number of tweezers. The tweezers are the mechanical pieces that rotate in epilator and pull the hairs out. The higher number of tweezers, the more hair grabbed and pulled out by the epilator. A lower number of tweezers could mean less hair is being grabbed at the root and some hair is attempted to be grabbed but is just pulled halfway until it breaks. A good epilator has anywhere from 20 to 60 tweezers. Some epilators even come with 100+ tweezers! Epilators can last a long time. So there is no reason to assume that you have a low quality epilator causing your ingrown hairs. We recommend that you try the other tips in this article first before concluding that the problem is your epilator. However, if you’d like to upgrade to a better epilator and smoother skin without ingrown hairs, here are our recommendations for the best epilators available in 2017. The other major key to preventing ingrown hairs is exfoliation. Exfoliating regularly helps turn over the top layer of skin. It also makes sure that hairs do not have opportunity to grow inward or into the skin’s top layer and become a painful ingrown hair. Your skin sheds every day and exfoliation helps speed up this process. Some people shed skin faster than others. 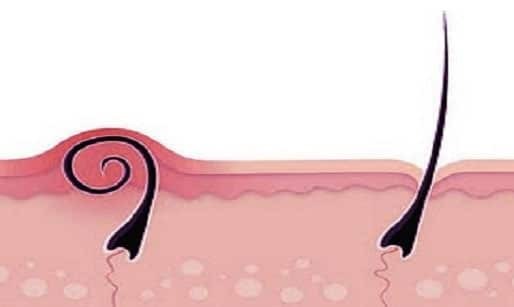 You may be prone to more ingrown hairs because your skin does not shed as fast. There are two ways to exfoliate – physical and chemical. Physical exfoliation includes using brown sugar or coffee or a formulated body scrub like Gigi No Bump Scrub to help remove dead skin. You can also use a loofah or pouf to lightly scrub your skin. This can be done both inside the shower with your body wash or you can do a dry scrub with a dry scrub brush right before you hop in your shower or bath. Chemical exfoliation involves using a lotion or cream with exfoliating acids, like alpha hydroxy or AHA, to speed up the skin cell turn over. Common AHA acids include lactic acid, mandelic acid, and glycolic acid. Be careful if using both chemical and physical exfoliation at the same time. Over exfoliation can ruin your skin’s natural moisture barrier, overdry your skin, and takes longer than you think to reverse. So if you plan on using both physical and chemical exfoliation, check with your dermatologist. We also recommend that you always wear sunscreen if you are using a chemical exfoliant, because they can increase your skin’s sensitivity to the sun. Both have their pros and cons. As for which is better, it depends on a few factors – your sensitivity level, how much time you want to spend on exfoliation, and your type of skin. To pick which is best for you, read more about the pros and cons of chemical vs physical exfoliation. Ultimately, there are many possible reasons why you are getting a lot of ingrown hairs from epilating your hair. Be sure to eliminate each of the above reasons and maybe even try an updated or new epilator. If you continue to get ingrown hairs, despite exfoliating, good epilating technique, and a high quality epilator, we recommend trying another method of hair removal. Ingrown hairs are not just painful, but can cause long term scars. While there are certainly ways to fade scars over time, it may be better to switch back to shaving, try a depilatory cream, or combine shaving with an at home laser hair removal system. Epilators have come a long way since we started using them for hair removal a few years back, with an infinite number of features, speeds, colors. There are so many options that it is confusing to pick a good epilator unless you are an epilator veteran. To skip ahead in this guide, please expand the table of contents below. With prices ranging from $30 to $160 and up to 10 features to shop from, picking one of many epilators available in 2017 can be overwhelming. To help you make your choice, we have rounded up the top 7 epilators of 2018. Each epilator is broken down into features as well as cons to make it easier to find the one that best suits your lifestyle and hair removal needs. This is not the most expensive epilator out there but it IS the best epilator that money can buy in 2018. Let’s see why. The head of this epilator is extra wide, which helps remove more hair in each pass. The head vibrates while in operation, which minimizes the pain that you might feel while epilating. The vibrations help massage and numb your skin. And finally, the Braun Silk-epil 9 9-579 epilator head also pivots with your body. This helps keep the epilator head flat on your skin’s surface in trickier areas like under arms or behind knees. Thanks to its Micro Grip tweezer technology, the tweezers on this epilator are much longer and wider than standard. This makes this hair removal device even better than waxing, picking up hairs that you may not even see. The Braun Silk-epil 9 9-579 can pick up even a grain of sand! It is cordless, with the longest lasting battery on the market, and can be used in both wet and dry environments. It’s also easy to clean with a detachable head, which you can wash or use the included cleaning brush. There is a built in light for better visibility. To help with sensitive skin areas, the Braun Silk-epil 9 9-579 epilator offers 2 speeds and an efficiency cap. This helps maximize hair removal and control how much hair you want epilate at any time. Last but not least, the Braun epilator comes with 7 extras! Yes, SEVEN! This includes a shaver head that you can use to shave, a trimmer cap for trimming hair, an efficiency cap, a high frequency massaging cap, and a facial brush. The facial brush helps remove makeup and physically exfoliate any dead skin through micro vibrations. All of these attachments are waterproof just like the epilator itself. The seventh extra is a recharging stand for the epilator. To read more about Braun Silk-epil 9 9-579 product specifications, click here. There are really no issues with this epilator. We had to think hard about this but here are two potential issues. Initially, we considered the price to be a downside of this epilator. But after taking the number of attachments into consideration, the price is a 1 time cost that can save you money on razors, facial brushes, and a trimmer. For this many uses, the 1 time cost is more than reasonable. The second potential downside could be that you cannot use the epilator and charge at the same time. The epilator must be charged before or after each use. This could be a matter of habit for you. If you wax at home, you have to heat up the wax before you can use it. Similarly, by keeping the recharging dock nearby and in sight, this problem can easily be avoided. Just remember to charge after each use so you’re ready for the next time. To read more customer verified Braun Silk-epil 9 9-579 reviews, click here. By almost exceeding in each of the potential features that an electric epilator can have in 2017, the Braun Silk-epil 9 9-579 is an incredibly feature heavy hair removal tool. If you’re looking for an investment epilator that has multiple uses, this is your epilator! The Panasonic ES-ED90-P epilator comes in a close second to the Braun Silk-epil, offering another excellent choice minus a few features. This epilator comes with a 60 degree pivoting head with a built in light and 2 operating speeds to epilate more or less sensitive areas of your body in 1 go. With 46 tweezers, it falls into the mid to high range for tweezer power. It also comes with 6 attachments. Two of these attachments are epilating attachments, with a gentle epilation cap attachment and a precise cap attachment. The gentle cap is meant for areas of your body that have a low tolerance to pain as it reduces the number of tweezers running along your skin. The precision cap makes the head smaller so you can epilate smaller areas with more accuracy. The precision cap could be especially useful for men for beards. Other attachments include a shaver head, a bikini comb cap, and a pedicure buffer for removing dry skin and calluses. This epilator also works in wet and dry environments. To read more about Panasonic ES-ED90-P product specifications, click here. Again, like the Braun, price and rechargeability are the main but still minor concerns. This is still an excellent investment in terms of price in that it is far less than even 1 salon wax session. This epilator cannot be recharged while using it, like some corded epilators. Be sure to charge immediately after each or every few sessions to make sure it always runs when you need it to. To read more customer verified Panasonic ES-ED90-P reviews, click here. This is another best contender in the best epilators money can buy. It is missing some of the features, like micro grab technology, a trimmer or a facial brush, from our top pick, but adds some feature options to make up for it. Depending on what extras you’ll use the most, the Panasonic ES-ED90-P could be your top choice. Let’s start with the main feature that makes this epilator such powerhouse – It has 72 tweezers! This is almost double our first pick and runner up. With 72 tweezers, the Emjoi AP-18 is an ideal epilator for legs, arms, or other areas with a lot of hair or dense hair. Epilating with the Emjoi AP-18 will be much faster than either the Braun Silk-epil or the Panasonic epilators. However, this may not be the best epilator for a beginner for the same reason. 72 tweezers pulling hair is going to hurt much more than half that number. The Emjoi AP-18 also does not have any massaging or vibrating attachments that will help numb the pain for a beginner or for someone with low pain tolerance. But if you’re a seasoned veteran or have used an epilator 4-5 times, this is a powerful machine for you. Even if you are a beginner and plan on removing a lot of hair via epilation, it would be possible to build up tolerance and good technique by using it in smaller areas first. The second feature unique to the Emjoi is the dual opposed heads. What this means is that the tweezers are not just at the top of epilator, but rounded out to extend out the top as well as the sides. These dual opposing heads allows greater flexibility as you travel over your body with the epilator. You can use it both on the right and left, and angle accordingly as you epilate. The Emjoi AP-18 is corded with a 6.5 feet cord and offers 2 speeds. It also boasts a Skin Glide technology that helps it grab all hairs on your skin. This technology helps it “scoop” up any hairs that are sitting flat and remove them from the root. To read more about Emjoi AP-18 product specifications, click here. The Emjoi AP-18 does not have a built in light or shaving attachments. There is no efficiency cap, but you may not need one with the 72 tweezers and dual heads! It is not water resistant, but it comes with a cleaning brush for good hygiene. It certainly is missing many of the features that our top picks have. To read more customer verified Emjoi AP-18 reviews, click here. While we wouldn’t make it our top choice, this is a great epilator to have in your hair removal tool arsenal because it is incredibly powerful. Don’t look to the Emjoi AP-18 for features. This is a workhorse epilator and exceeds expectations in the main goal of an epilator – remove hair. The Emjoi Soft Caress Epilator is a different kind of powerhouse in that it is a highly efficient epilator for those with sensitive skin. It only has 36 tweezers but has the “highest tweezes per minute”. There are 2 speeds on this epilator. So while there are far less tweezers, at each of the 2 speeds, the tweezers rotate very quickly to pull out hair quickly. This makes the Emjoi Soft Caress Epilator perfect for causing the least amount of discomfort on sensitive skin. Emjoi Soft Caress Epilator has another helpful feature for those with sensitive skin – all 36 tweezers are 24 karat gold plated with antibacterial properties. This plating makes the tweezers hypoallergenic and decreases ingrown hairs. It includes a massage attachment that helps numb your skin during epilation. Like the Emjoi AP-18, it is not water resistant but includes a cleaning brush. It should not be used in the shower. This epilator is also cordless and rechargeable. In fact, you can use it while it recharges unlike the other epilators we have covered so far. This allows you to use this epilator in any dry situations at any time! To read more about Emjoi Soft Caress Epilator product specifications, click here. It would be nice to see Emjoi make their epilators water resistant. The Emjoi Soft Caress Epilator has so many features alongside great epilation technology. Being able to use it in the shower would round out its feature list and make it contender for a wider audience. To read more customer verified Emjoi Soft Caress Epilator reviews, click here. It’s hypoallergenic tweezers and fast rotating tweezers make the Emjoi Soft Caress epilator a unique product. 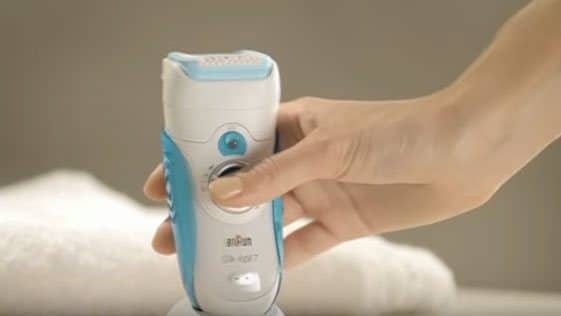 If you have sensitive skin or are prone to ingrown hairs, this is the epilator to get. If you’re worried about, there are a few decent options in a lower price range that offer a good value as a beginner epilator. The Remington EP7030 is one of the best in this category as Remington is one of the original companies in the epilator industry. The Remington EP7030 epilator has 40 tweezers and operates at 2 speeds. It also has a pivoting head with a few cap attachments. The precision cap, perfect angle cap, and massaging cap all help you customize your experience according to what area you are epilating. There is also a built in light for better visibility. It is rechargeable with a power adaptor and otherwise cordless, and can be used wet and dry. You can wash it off in the shower after use by removing the head or use a cleaning brush, also included. To read more about Remington EP7030 product specifications, click here. The epilator is highly functional, but lacks additional features that make this a versatile travel friendly tool. It also lacks some technological developments in terms of tweezers and epilator motor like our other picks. To read more customer verified Remington EP7030 reviews, click here. There is a low frills epilator that does the job, and does it well. If you’re a student or not sure about epilation as a hair removal process in general, this is an excellent experimental product. That’s not to say that it is not good for long term use. These epilators will run for years. So if you find that you don’t need more features, you’ll find the Remington EP7030 performs very well. Are you looking for a beginner epilator with a few more multi-purpose functionalities? Look no further than the Codream 4-1 epilator. It is a lesser known epilator with a younger brand. But don’t let that hold you back if the features make this an appealing choice for you. The 4-1 refers to the 4 functions this epilator offers via attachments – epilator, shaver, hair clipper, and callus remover. Amongst the extras, the callus remover on Codream 4-1 is highly rated attachment. In terms of multifunctionality, this is a powerhouse. It is rechargeable via power adaptor and can be used while plugged in or as cordless. There is a built in LED light. The epilator head can be removed and washed with water. But the epilator itself is not wet/dry and should be using in dry places only. In terms of features, making the whole epilator water resistant would make this epilator well rounded. Want an beginner, budget friendly option that offers more features and versatility than the Remington EP7030? The Codream 4-1 is your epilator. For our last review, we asked ourselves – What is the cheapest basic epilator that does the job? Why bothering asking this question? We recognized that sometimes you want to spend the least possible money to figure out if a particular hair removal method even works for you. With that in mind, we concluded that if you want a basic starter epilator, the Philips Satinelle HP-6401 is one to try. It has 21 tweezers, 2 speed setting and an efficiency cap. You can also wash the top epilator head by taking it off the body of the machine, which is not water resistant. It is a little louder than the other epilators we have reviewed. It is also corded. To read more about Philips Satinelle HP-6401 product specifications,click here. This epilator has none of the features of our epilators and no additional attachments. It has a low number of tweezers and no built in light. And it is not water resistant and so cannot be used in the shower. To read more customer verified Philips Satinelle HP-6401 reviews, click here. Remember this is a basic, no frills epilator. It is much lower in price than the others we have picked to review here. But this is also a best selling epilator and has been for many years. So it may not be fancy, but it works! The Philips Satinelle HP-6401 would be a great epilator to start your epilating journey with, and later adding a second more efficient epilator to your hair removing arsenal! Epilators still enjoy a somewhat anonymous status. Many women have never used or heard of an epilator! This is ironic because epilators can be the ideal method of hair removal for a lot of people, men and women. The epilator is a hair removal device that uses groups of tweezers to remove hair from it’s root. The tweezers are usually metal or ceramic. As you pass the epilator over your skin, its many tweezers rotate to grab many hairs and remove them completely just like waxing. Epilation allows you to be hair free for longer than shaving, similar to waxing. Like waxing, when the hair regrows out from its root, you must epilate to remove it again. Depending on fast your hair grows, you could enjoy smooth skin for 1 to 3 weeks! So why is the epilator a better alternative to shaving or waxing? Epilating gives long last smooth skin. If you remove hair by shaving, you are probably shaving anywhere from every 3 or 4 days to daily. Epilating is like waxing. It removes the hair from the root. So you have to epilate only as often as your hair regrows from its roots. That means you can enjoy smooth hairless skin for a week up to 2 or 3 weeks! It’s also as easy as shaving, if not easier. Epilators come in many features, from cordless to rechargable to waterproof to vibrating heads that numb your skin. There is no nicking your skin or causing razor burn like shaving. It’s definitely much easier than waxing. You may need to recharge your epilator, but there is no warming up of wax or other preparation. You even don’t need to wait for your hair to grow out ¼ of an inch, like for waxing. You can epilate the minute you start to see or feel hairs. And you can epilate from anywhere, home or a hotel. If you shave, how often you buy new razors or razor heads? Or you may go to a wax salon, which can cost up to $200/visit. Not to mention having to schedule an appointment and worry about hot wax burns. Even if you wax at home, you’re spending money on wax refills or waxing strips. An epilator is a 1 time cost for several years. With epilators ranging from $40 to $140, you only have to spend that once to epilate for years. Without a doubt, epilating is the cheapest hair removal solution available to men and women today. And with technology improving every single year, epilators are becoming a go-to for hair removal for more people every year. There are over a hundred epilators available to try out there today. You could start with any of them. So which one do you pick up? What are the differences between each epilator? Are they all the same? Why are some more expensive than others? A common question we get is: do epilators cause ingrown hairs? They can with a low quality epilator. So what does that mean? A good epilator will grab the hairs at their roots to pull it out completely. It should not be grabbing hairs halfway and breaking them. This will lead to faster re growth because the hair was not removed and only broken, like shaving. It could also mean more ingrown hairs because when a hair is pulled until it breaks halfway, it is stretched out. After it stretches and snaps, it curls back towards the skin and could become an ingrown hair. The more tweezers on the head of the epilator, the faster you’ll pull out more hair. Each of the tweezers grab hairs as they rotate. So with an epilator that has a high number tweezers, you’ll be pulling out more hairs per pass of the epilator over your skin. This can be great because you’ll spend less time epilating. At the same time, if you have low tolerance for pain, more tweezers could also mean more pain. So it is important to know how many tweezers an epilator has, so you can make an informed decision. Epilators can cost anywhere from $30 to $150 and prices go up with increased features, details, and accessories. Lower priced epilators can have lower number of tweezers and less convenient details, but are a good place to start if you are unsure about epilation. On the other hand, if you wax often or use a hair removal method that removes hair from the roots, a good quality epilator can be a useful tool. While the initial cost can seem high for an epilator will all of the features, bells and whistles available, the money you save by replacing wax salon fees quickly makes the epilator a good investment. If you have low pain tolerance, the epilator cap is a must have. It is an attachment cap for the epilator head, where all the tweezers are, to help lessen the pain of epilating. It is curved and helps optimize the surface area that touches your skin to maximize the angle needed for epilation. The shape of the attachment cap helps you keep the epilator at a 90 degree angle, which is the best angle for epilation. It also makes epilating less painful. This is another must have. To make sure your epilator works for a long time, you want to be sure to clean it. The tweezers that pull hair out rotate at the top the epilator. In a good epilator, you are able to take that top portion off or apart to clean out any hairs that might have gotten stuck in there while the tweezers rotate. A clean epilator will also help keep your skin free of any acne or similar breakouts that are a result of bad epilator hygiene. Variable speeds help you control how fast or slow the tweezers turn. This is especially useful when you are epilating a curved and sensitive area, like an armpit or the back of knee. These areas can hurt a lot more. If your epilator has two or more speeds, you can continue epilating up an arm or leg by just slowing it down when you reach a sensitive area. Most of us will epilate in a bathroom, and sometimes bathrooms do not have the best light at night. Having a built in light at the head of the epilator that shines on your skin can be really helpful when you have to epilate during an evening. The built in light can help you see hairs that are shorter or finer so that you don’t end up with patchy areas due to bad overhead lighting. There are a lot of accessories available with some epilators. Some accessories make the basic epilator into a powerful 7-in-1 or 5-in-1 tool with attached heads for shaving hair, exfoliating, or even scrubbing your heels. Epilators with accessories can be the ideal choice for anyone who travels or does not have a lot of storage in their bathroom because one tool does so much more than just epilate! Corded epilators work just as fine as cordless or rechargeable epilators. However, if you travel or your bathroom outlet is too far to be comfortable, a cordless option can be a small detail that offers tremendous convenience. So think about where in your home you will be using your epilator, and if having a cordless epilator will make your life easier. Alternatively, if you travel often, cordless is definitely the way to go. Want to be able to shower and epilate in 1 go? A wet/dry epilator might be your best friend. These epilators can be used in the shower with the water running. This helps with cleaning up the hair that is epilated and the epilator itself. As these epilators are water resistant, you can wash the epilator and the tweezer heads and let it dry in the shower for the next time. These epilators are also ideal for travelers, who can use in hotels and airbnbs without worrying about the mess and cleanup. All this talk about removing hair from the root brings us to an important question – How much does it hurt? The answer depends on your tolerance for pain. We have found that it hurts less than waxing but more than shaving. However, if shaving gives you ingrown hairs then trading your razer for a good epilator may still be worth it. A well designed efficiency cap also helps with any pain you might experience. Even if you do experience pain from epilation, there are a number of ways you can reduce epilator pain. All in all, unless your pain tolerance is insanely low, don’t be put off by the reports of pain. With some practice, the epilator can become your go to tool for hair removal. Epilators or Waxing – Which at home hair removal method is better for you? We get common questions like “do epilators hurt?” or “which is better?”. Epilators and waxing both remove hair from the root, so they’re similar in their end result. But the process is different for each. So here’s a guide that compares epilators vs waxing on some key characteristics, like waxing vs epilator pain or which costs more, that can help you determine which of these hair removal methods can work better for you. An epilator is an electrical hair removal machine that removes hair from the root. It has a set of tweezers on a rotating wheel that quickly removes many hairs with each pass of the epilator on skin. The tweezers grab hair and pull it out. There can be anywhere from 20 to 100 tweezers on an epilator, so the epilator can pull out 2 to 4 times the hair with each short pass. Epilators can be plug in devices or rechargeable battery powered, for dry use only or for wet/dry that let you use them in shower, and come with a number of helpful accessories that can help reduce the pain. Want to learn more? Read our complete guide to epilators here, complete with a how to epilate, pain levels, and thorough reviews on some of the better epilators available today. Waxing is the process of applying a soft or hard wax on skin in the direction of hair growth, and then then removing the hair from its roots by quickly pulling the wax off. A good quality wax will cling fast to the hairs and not the skin, taking the hairs with it when it is pulled off. Waxes come in two main consistencies – soft wax and hard wax. Soft wax is the gentler version that is removed with wax strips made of cotton or recycled paper. Hard wax is considered better for waxing coarse hair. It is somewhat less sticky and can be pull off as it cools by gripping the edge of the applied wax and so you do not need any strips for hard wax hair removal. All waxing also lightly exfoliates the skin by also removing a layer of the topmost dead skin cells. Want to learn more? Read our complete guide to waxing at home here, complete with a how to wax, pain levels, and thorough reviews on some of the better waxing kits for home available today. Both epilators and waxing hair removal remove the hair from the root. Lets assume that you have a good waxing technique and a good quality epilator and you are not breaking hairs at the skin surface and really are pulling them out by the root: Hair removal by either the epilator or waxing should last equally long, which can be anywhere from 2 weeks to 4 weeks. But, after you epilate or wax and the hair grows back in, how soon can you wax or epilate? To wax again, you’ll need the hair to grow back to a 1/ 4 of an inch or more. Otherwise, the wax will not be able to grip the hair. On the other hand, a good epilator can grab hairs that are only 1/ 8 of an inch. So you could epilate sooner. However, some people may find that if they epilate hairs as they come in, they need to epilate more frequently. Hair grows back in stages, so you always have hair growing in. It’s possible that during your regrowth, all the hair that you pulled out previously did not regrow. So you may find yourself epilating more often for everytime hairs cycle through their phases and grow back in. With waxing, because you have to wait until hairs reach a certain length, you may find that you’re able to remove more hairs because more hairs have grown back in since you last removed hair. So each has its pros and cons. Depending on your lifestyle or needs, you may find that one works better for you. Both the epilator or waxing win on the basis that they last equally long. But you’ll be able to epilate new growth sooner than you’ll be able to wax new growth. Epilators come in all shapes, sizes, and price points from $30-200. Let us say you purchased a mid range epilator for about $100. Epilators are a one time purchase and if you take care of them, you don’t have to buy replacement heads or other parts for a lifetime. So that is a one time cost of $100. If you’re waxing, you’ll need to replace your wax as you run out. If you’re using a hard wax, then all you need to wax is the wax. But if you’re using a soft wax, then you’re also using disposable wax strips and waxing applicators like popsicle sticks. Gigi brand’s replacement wax cost $10-20 and should last about 3 months even if you’re using it 2x a month. Replacement strips and applicators could cost $25 total but will last the whole year. So doing the math, you might spend $80 max for the first year of waxing at home if you’re hard wax, and $105 max for the first year of waxing with soft wax. Of course, we compared epilators vs waxing at home for our example here. Getting a wax done professionally will cost much more than this. The cost of epilators vs waxing is the same for the first year, but you’ll see your costs increase linearly each year with waxing while an epilator is a one time cost. Both the epilator and wax pull the hair out by the root so both are more painful than shaving or a depilatory cream which only remove the hair at the skin’s surface and not below. Epilators can be particularly painful if you normally shave or use a depilatory (chemical shaving) cream like Nair where the hair is not removed from the root but only at the skin’s surface. This is because over time your hair follicle (or root of the hair) regrows more hair each time it’s shaved and the hair follicle gets quite strong over time as it regrows and regrows. When you yank the hair out from its root, the hair that grows back in looks finer. This is actually what causes people to think that waxing or epilating makes hair grow back less and finer, but that is actually a myth. In reality, shaving makes a thicker follicle (looks darker) and pulling it out from the root makes a thinner hair grow back. There isn’t less hair as a result. So if you’ve only shaved to date and then you try to use an epilator, you’re pulling out that thicker follicle which will hurt more than if you were pulling out a follicle that had been yanked out recently and regrown. Tweezing out those hairs can be painful. If you want to epilate long term instead of wax, but have only shaved to date, we recommend that you wax off all the hair once then epilate the regrowth. The epilator will hurt far less in this way. That brings us to the pain of waxing. High powered epilators can have close to 100 tweezers and can pull a lot of hairs with each pass. Waxing also pulls out a lot of hairs at once. However, the process of putting warm wax on your skin, pressing, and then quickly removing the wax sends a lot of sensory information all at once to your brain and a lot of people find that waxing can hurt less. Some waxes are soothing to the skin as well and can reduce redness while conditioning the skin. Compared to epilating for the first time, waxing hurts less and is easier. Waxing hurts a little less than an epilator. The sensations are different however, and many people find that they are quickly accustomed to epilator pain and find it easier to deal with than waxing. Using an epilator is very easy. You plug it in or it is battery powered and ready to go. Pass the epilator on your skin against the hair growth and it will remove double digit numbers of hairs with each pass. With wax, you have to do some planning to get ready for waxing. Namely, you need to warm your wax which can take 5-15 minutes depending on the wax. If you account for warming up wax, the epilator can remove hair faster. However, once the wax is warmed up, an experienced waxer will remove hair just as fast as someone who uses epilators regularly. If you’re a beginner, you probably will remove the same amount of hair faster with an epilator than waxing. But if you’ve waxed frequently, it will take you the same amount of time to remove hair as if you were using an epilator. So there is less of a learning curve with an epilator than waxing. However, that learning curve might be worth it because you are far less likely to break hair during waxing because wax does a good job of pulling hair out at the root with little effort. With an epilator, it is easy to get started but there is some skill involved with actually pulling the hair out and not just breaking it. A good quality epilator also helps with this. Lay down a towel and you can epilate anywhere. Especially if you have a battery charged epilator. You can epilate in front of the tv while you catch up on the latest show. You can even take an epilator with you when you travel and epilate in a hotel. To wax, you need to cover the floor with a disposable cover of some kind (newspaper, a paper bag, etc) to catch drips. You also need a dependable heat source and may need to be near a microwave to reheat your wax or an outlet to plug in your wax warmer. It would definitely be cumbersome to try to take your wax kit with you while travel. However, none of these are are inconveniences if you’re home. The epilator wins only because it is easier to pack for travel. The epilator wins barely overall. If you’re looking for a quick, easy electronic gadget, have a pain tolerance, and like the convenience of being able to remove hair on the go, then the epilator is your friend. If you have extra sensitive skin, don’t mind the additional prep of waxing, and prefer a tried and traditional method of hair removal, then waxing is your go-to. That said, you may prioritize one feature or characteristic over the other, so only you can decide which can be a better method of hair removal for you. We hope this breakdown helped you determine which feature was more important and make an informed decision. Is this the first time you’ve heard of an epilator? If you want to learn more, check out our Complete Guide to Epilating with reviews of the best epilators here. Or you want to try your hand at waxing at home because those salon visits are adding up? We’ve written a handy Guide to Waxing at home here. Check it out for tips on getting started as well as which wax options are available for different skin types or lifestyles. When you wax your hair, you pull it out from it’s root or follicle. Sometimes, when the hair regrows, it can regrow inward rather than outward like normal. This results in an ingrown hair which can be annoying to deal with. So how treat ingrown hairs before they happen? I’m going to assume its not your technique of waxing your hair, and move onto how to prevent ingrown hairs on legs, arms, face, bikini, or other parts your body via exfoliation. But before I do, a quick explanation. and you haven’t quite figured out the technique, the hair might be breaking instead of being pulled out. This can cause ingrown hairs. Notice if your professional waxer is pulling the wax or wax strips off your skin surface at a 45 degree or lower angle. This means, let’s say your leg is laying horizontal on a table. The waxer should not be pulling the wax strips off in a motion that goes up vertically, but the removing wax motion is also more horizontal like your leg than vertical. I remember when I first started waxing at home, afraid of the pain, I’d pull up towards the ceiling. So bad technique could be a reason for ingrown hairs. However, everyone, despite technique, is prone to some (or many) ingrown hairs when the hairs grow back in. So how to prevent them? 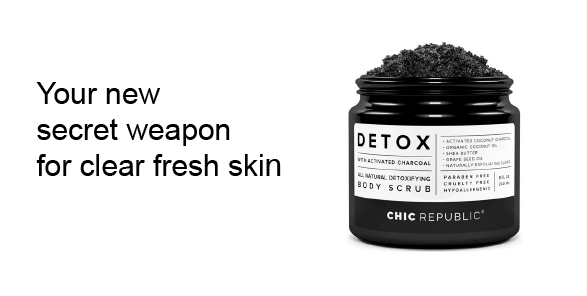 One word with many methods – Exfoliation. Exfoliating the top and dead layers of your skin can help remove those layers before they trap hairs underneath and cause ingrown hairs. Rather than waiting for ingrown hairs to happen, and then dealing with them, it’s better to exfoliate as a preventative measure. Exfoliating helps speeds up the shedding of your outer layers, which happens naturally but at a slower pace. There are 2 types of exfoliation, physical exfoliation and chemical exfoliation, that can help prevent ingrown hairs as your new hairs grow back in. Let’s take a closer look at physical and chemical exfoliation. Physical exfoliation manually rubs off your outer layers of dead skin faster than they fall off so that new hairs do not get trapped beneath those layers of skin. There are several ways to physically exfoliate and most of them happen during your shower or bath. You can dry brush before showering, but loofas, hand sponges, exfoliating scrubs all help remove dead skin while you are showering or bathing. These are gloves that you can wear in the shower and have an abrasive texture. You put the gloves on, grab your body soap and lather up the gloves. Then you rub your soap lathered gloves over your legs, arms, and rest of body like a loofah. While you soap your body, the abrasive texture of the gloves helps exfoliate each limb of your body. This is a great, lazy man’s way to physically exfoliate in the shower because it combines soaping and exfoliating. We also throw our exfoliating gloves into the washing machine with our weekly laundry to sanitize. It takes a much longer for these to wear out to need replacement than loofas or other sponges. Only a few years ago, a lot of exfoliating body scrubs had tiny plastic beads in them that you would feel as the exfoliating beads. Then when you rinsed off in the shower, those plastic beads went down your drain and out into rivers and oceans and started collecting and harming fish populations. Finally, they banned these plastic microbeads. Still, we are not comfortable recommending brands (ahem, rhymes with “hives”) that used to use those beads, but yes those brands do work, and yes they are cheaper. We aren’t about shaming you for your purchases, but we wanted to explain why we aren’t recommending a more obvious brand. Personally we’ve found that whatever they’re using as the new natural replacement for those beads are still too hard or too big to properly exfoliate. In contrast, charcoal, sea salt, or brown sugar make for a great and natural exfoliant that dissolve after long contact with water. We can recommend Natural Activated Coconut Charcoal body scrub and Himalayan Salt Body Scrub. Here are more exfoliating body scrubs. Search for “natural body scrubs” or “exfoliating body wash” to find specific products that might work for you. This one you probably already use or know of. Wet and lather your loofah with body soap and then rub your limbs in a circular motion to soap and exfoliate simultaneously. This is a cheap, economical solution. If you change out your loofah every 3 months like you’re supposed to, this costs you a total of $10-15 per year. We can recommend this pack of Ecofriendly loofahs. Purchased once a year, they’ll last you a whole year without having to think about buying a replacement. Dry brushing is another multi use option for physical exfoliation. It’s commonly used as a preventative for cellulite by stimulating your lymph nodes and skin, and is done before stepping into the shower while you are still dry. Physical exfoliation is actually a side effect benefit of dry brushing. So if you want to target both physical exfoliation and cellulite, dry brushing is a great option. We like the dual purpose of this Wet and Dry Brush for days where you don’t have time to do a full body dry brush before your shower. It’s very easy to get overzealous about physical exfoliation and end up damage your skin’s moisture barrier. Physical exfoliation gives you immediately smooth skin and so you might be inclined to enthusiastically scrub your skin daily and by the time you realize you over did it, it’s a little too late. So we highly recommend that you start with a 1-2 times a week schedule. Moisturize once you get out of the shower and pay attention to your skin. Is it feeling tight during the day or visibly showing dry skin? Scale back. No? You could add a 3rd session in the week if you want to, but again pay close attention to your skin. If you’re using a loofah or a glove sponge, be sure to replace or sanitize them regularly. Chemical exfoliation uses an acid to help remove a certain layer of outer shedding skin with each use. These acids can include AHAs or Alpha Hydroxy Acids, BHAs or Beta Hydroxy Acids, or even ASAs or Acetylsalicylic Acids. There are further types of AHAs or alpha hydroxy acids, BHAs or or beta hydroxy acids, and ASAs or acetylsalicylic acid – like glycolic acid, lactic acid, salicylic acid , and even aspirin. Each of these acids have different sized molecules and target the skin in different ways, that we’ll cover shortly. AHAs are commonly used for antiaging functions because they help increase skin cell renewal, or help remove outer dead skin to show the inner younger skin. Learn more about alpha hydroxy acids via our guide to AHAs. BHAs are another penetrative acid that helps remove the outer layer of skin. Learn more about beta hydroxy acids via our guide to BHAs. And ASAs can be used to help unblock pores and reduce inflammation, and act as a painkiller. Note: This might be obvious to some readers, but we still wanted to make note. Do not use chemical exfoliators immediately after hair removal! It will hurt. Give your skin a chance to heal, at least 24 hours and even 48 hours to be sure. Then proceed with chemical exfoliation. This is our favorite everyday chemical exfoliator for ingrown hairs because it is a body lotion not just a treatment and so it is easy to use this daily as your post shower moisturizer and ingrown hair preventative at the same time. It has 12% lactic acid and most people are able to use this lotion every day without over exfoliating their skin. That’s another great thing about Amlactin Body Lotion – it was made for daily use so it’s amount of acid is effective enough to exfoliate but not so high that you could run into problems with over exfoliation. Lactic acid is also considered a mild acid because its molecules are bigger than say, glycolic acid. The smaller the molecule of the acid, the more likely it is to penetrate your skin and the riskier it is to use on a daily basis. Finally, there is a BIG WARNING about using AmLactin daily we must share: YOU HAVE TO WEAR SUNSCREEN on top of using this lotion. We cannot emphasize that enough! Never use an AHA acid (lactic, glycolic, mandelic acids) on your skin without using sunscreen as well. These acids speed up the turnover of skin cells but also make your newer skin underneath very sensitive to sun damage. You don’t want to be getting rid of the top layers, getting nice young baby skin, only to be aging it faster and causing irreversible damage to your skin. For more on AHAs, check out our skincare guide to AHAs. So if you do not wear sunscreen or are likely to skip sunscreen, DO NOT USE this. If you plan on using it only in an area that will not see sun (like bikini area), then it’s okay to use. Read more verified reviews of Amlactin Body Lotion here. Tend Skin is our favorite ingrown hair preventative and treatment. Unlike Amlactin which acts as both a body lotion and an exfoliator, Tend Skin is specifically an ingrown hair product that can used only on your ingrown hairs or you can treat any larger area that is generally prone to ingrown hairs to get them before they begin. Tend Skin uses an ASA, or Acetylsalicylic Acid, which is another word for aspirin. Yes, aspirin. It acts as both an anti inflammatory and unclogs your pores and so is highly effective on ingrown hairs, both as an ingrown hair treatment and as an ingrown hair treatment. It’s an industry favorite and for good reason. It does what it says it does! Read more verified reviews of Tend Skin here. We like Amlactin but we also wanted to make note that you can use almost any AHA acid or chemical exfoliator that you use on your face as an ingrown hair treatment with the proper care and attention. Amlactin makes it easy to moderate the strength of lactic acid in a formula for everyday use. But if you use lactic, glycolic, mandelic acid at home for your face and skin, you can use it on say, your bikini line, to deal with ingrown hairs as well. For more on AHAs, check out our skincare guide to AHAs. The key to using these acids for ingrown hairs to make sure you’re not overdoing it. Pay attention to your skin. Is it a extra strong acid that you use once a week on your face, like a 50% lactic acid peel? It might be too strong for as a regular ingrown hair treatment. A 10-15% acid that you use as part of your nightly routine might make for a better regular treatment. Again, if you’re using an AHA anywhere where it will see the sun, wear sunscreen! We like Paula’s Choice Skin Perfecting Lotion with 8% Glycolic acid and CosRx AHA 7 Whitehead Power which also has glycolic acid. Here are some more of the gentler AHA options. Use keywords like “10% glycolic acid” or “15% lactic acid” to see more specific products. Have you tried AHAs and found them to be too hard for your sensitive skin? Or you don’t wear sunscreen regularly enough to use an AHA? You can use a BHA, beta hydroxy acid, that act as a gentler exfoliator and does not make your skin sensitive to sunlight. You have probably heard of BHAs like salicylic acid and azelaic acid being used commonly as acne medications and in anti aging formulas. Their main role is to penetrate pores and clean them out from the inside, which can make BHAs very effective for ingrown hairs. They can target the ingrown hairs before they become inflamed. Like AHAs, they help speed up skin cell renewal. For more on BHAs, read our skincare guide to beta hydroxy acids or BHAs. Pregnant women should not use BHAs. Unlike AHAs, BHAs are most effective at low dosages. We like CosRx BHA Blackhead Power and Paula’s Choice Skin Perfecting Gel with 2% Salicylic Acid. Here are other BHA options. Use keywords like “2% BHA” or “2% beta hydroxy acid” to see more specific products. Treatment: How to treat ingrown hairs after they show up? In an ideal world, you stop getting ingrown hairs altogether. But sometimes all of our best efforts to prevent ingrown hairs, you wake up with an angry red spot marking the beginnings of a hair that didn’t grow up and out. To treat ingrown hairs that are already showing, we recommend more of the preventative measures – physical or chemical exfoliation. If you’re using chemical exfoliation, you could also spot treat. Once the ingrown hair’s head starts to show (it will start to look darker because the hair is visible), you could also use an extractor to encourage it come out altogether. Use this very gently however. Press the looped oval around the hair and if it doesn’t come out easily, leave it, spot treat and try again the next day. The solutions for preventing and treating ingrown hairs are mostly the same. But its better to start before they appear. It is a bit more effort but make it a routine and it will be worth it long term to not have to treat ingrown hairs. Alright, so it’s late at night and there is nothing you can buy that will show up immediately. What to do? Here is how to treat ingrown hairs after waxing with home remedies in a pinch. As we mentioned, in the industry favorite ingrown hair preventative and treatment – Tend Skin – aspirin plays a major role. Do you have any aspirin laying around? Crush a tablet of aspirin on a flat hard surface using the back of a spoon. Gather up the powder and add a few drops of water. Mix until it forms a paste. You can apply this paste on your ingrown hairs to help reduce redness and encourage the pore to open up. 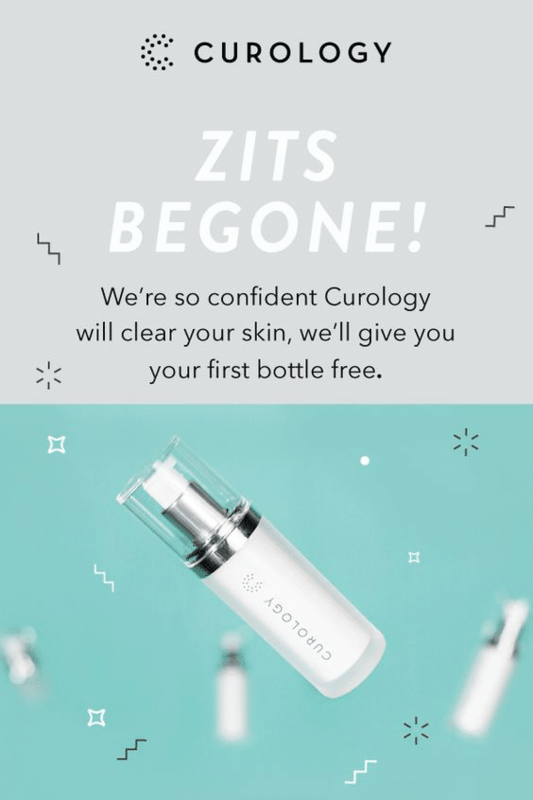 Is this recipe a total replacement of the benefits of Tend Skin. No, but this great for reducing irritation right this minute. Some people swear by witch hazel as an ingrown hair treatment. So how does this work? Witch hazel is an astringent. It helps shrink your skin and pores and by forcing this constriction, it helps the pore push the irritating hair to the surface. So this is another great way to treat ingrown hairs after waxing with home remedies. It may not be strong enough but it is worth a shot if you have some witch hazel at home. Sometimes no matter what we do, the ingrown hairs do not lessen or go away. If that’s the case, it’s worth considering a different method of hair removal. Other than waxing, you can look into using an epilator. Or you can look into a more permanent method of hair removal like IPL or laser hair removal. Using an epilator can be incredibly painful. Like waxing, the epilator removes hair by yanking many hairs out from their roots at the same time. Pain tolerance varies from person to person. For those with sensitive skin, using an epilator for the first time can be a scary and painful task. But it doesn’t have to be. With some planning, epilation pain can be reduced or even eliminated. Using the following tips, you can make epilation hair removal as easy and painless as shaving but with longer lasting results. Warm baths or showers make your hair softer and open the pores in your skin. Epilating is easier right after a warm shower for this reason. Wet/dry epilators can be used in a shower or bath in addition to dry situations. These epilators are waterproof. Epilating in the middle of shower can make it easier to contain and clean up the hair. You can also wash off your epilator while still in the shower. Many wet/dry epilators are travel friendly and you can use them in your home or in a hotel. For example, the Braun Silk Epil 9 comes with led lights and is battery powered. So is the Panasonic ES-ED90P which also has multiple epilator heads that allow you to epilate, shave, and do it a pedicure. Make sure the epilator has a flat tight skin surface to skim along, so that it can capture as many hairs in every pass. Pull your skin taut in areas such as your armpits or upper thighs or wherever your body is softer. Less passes over skin means less pain. Try to epilate when you are warm, if you are prone to goosebumps. Goosebumps make it harder for the epilator head to touch a flat skin surface. This can result in the epilator breaking hairs halfway instead of pulling them out from the root. These hairs will grow out sooner and will feel like stubble. Epilate when your skin does not have goosebumps for a longer smoother result that does not hurt as much. Exfoliating your skin a few days before epilating helps remove dead skin and any ingrown hairs that need to be epilated. Also exfoliate a few days after epilation to minimize ingrown hairs. Add a little brown sugar in your normal body wash for a natural scrub or a body wash scrub like Gigi No Bump Body Scrub. For a spa like exfoliation, use exfoliating gloves like the Aquasentials Exfoliating Bath Gloves. The gloves are also good for reducing ingrown hairs after epilating. They make it easy to exfoliate and act as a loofah for your body wash.
Shaving is an indirect way of exfoliating. Shaving 2-3 days before your first epilating session is a good way to start slowly. Shaving will reduce the number of hairs available for epilating and your first time will be less painful. As you condition yourself to the minor pain, you can continue epilating every few days with more hairs as they grow back out. If you are extra sensitive, use a numbing cream like No Scream Cream to numb your skin temporarily for epilation. You won’t feel the pain as much. This is especially an option for more sensitive areas of the skin, like under arms. If you experience pain after epilating, press a cold compress or an ice pack immediately on the skin to numb the skin. You can also use products like witch hazel toner or an antiseptic lotion like Finipil to reduce the pain, prevent ingrown hairs, and keep the newly smooth area clean. If you are prone to breaking out after hair removal, Finipil can go a long way to help keep your skin hairless without break outs. A last ditch option can be a regular strength over the counter pain medication for short term numbing. For best results, take 30 minutes before epilating. HOWEVER! It not recommended that you take pain medications for every hair removal session. If you are not able to tolerate the pain, it is a better idea to look for a different method than epilation. Shaving, depilatory creams, laser hair removal are all great and less painful options. Caffeine is a stimulant that can make you feel greater pain sensation while it’s in your system. It takes 6-10 hours for caffeine to exit your system. It will vary person to person, but you may find that waiting until there is no caffeine in your system means a less painful epilation session. Epilators do hurt more during menstrual bleeding. Many women report their bodies are the least sensitive to external pain in the 3 or 4 days right after, and most sensitive right before their period. You may or may not also notice a similar pattern with your own pain tolerance. If you do, then you will find it less painful to epilate right after your period. So if you have trackable or regular periods, epilating during your next period or in the days after might be easier. Other women report low sensitivity during ovulation, due to the increase in hormones. By keeping track of your sensitivity over the month, you might find that you are more or less sensitive to hair removal pain during certain body events. These windows might make for an ideal time for a pain free epilating session. Have you already tried all of these and epilating is still painful? Shaving might be a good painless backup for you. But you still have to shave more often to maintain smooth skin. Waxing is also a similar option. Getting waxes at salons can add up. But nowadays there are more and more at home waxing systems on the market that can save you money. If epilating, or waxing, are too painful and you find that you have to go back to shaving, an at home laser system might be a good option for you. It requires shaving before use. With each use, it also helps kill the hair follicles. Over time, you will see less hair growth and have to shave less often. So if epilating or waxing don’t work for you or your lifestyle, try an at home laser hair removal system along with shaving for long term benefits.